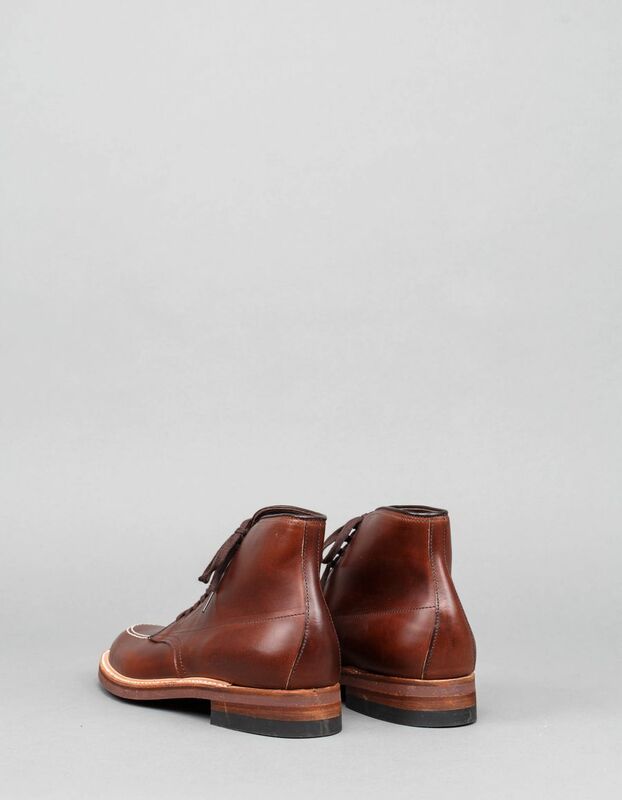 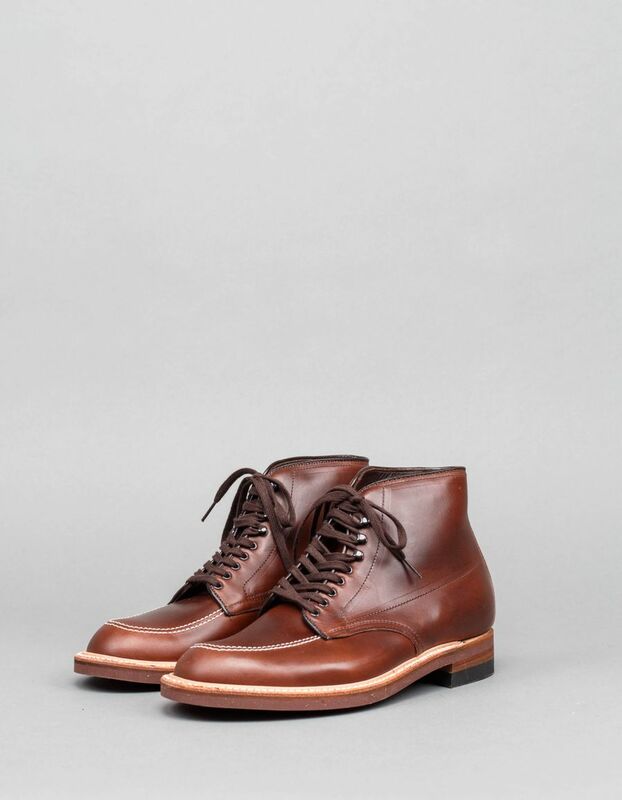 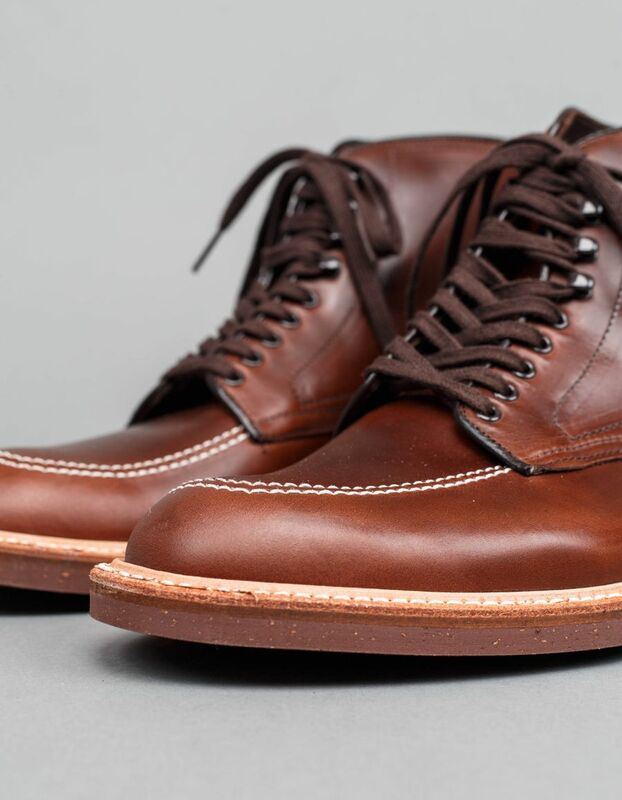 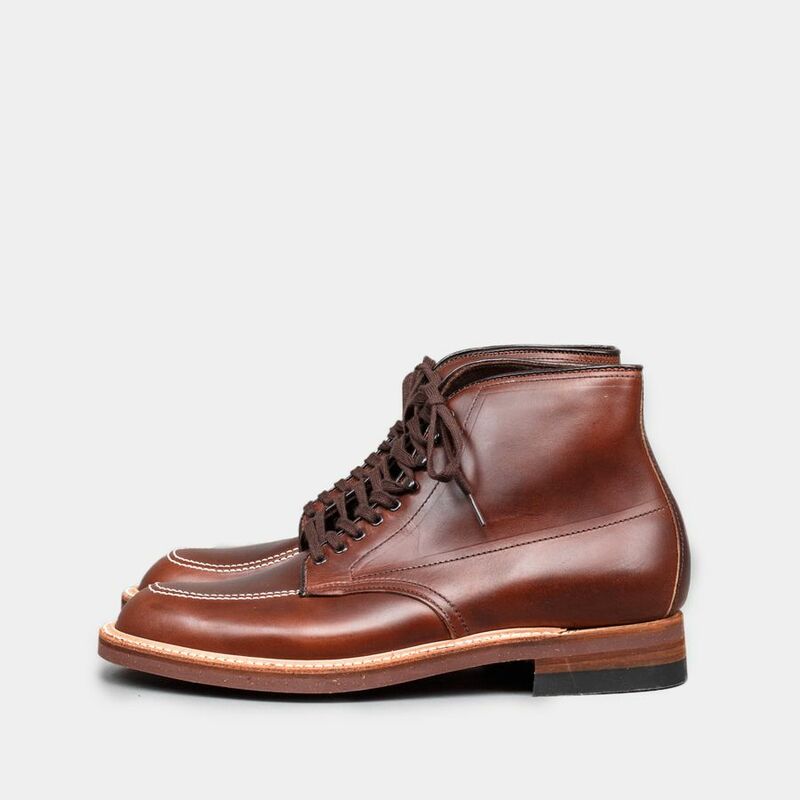 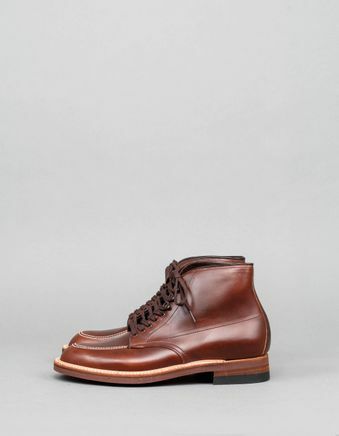 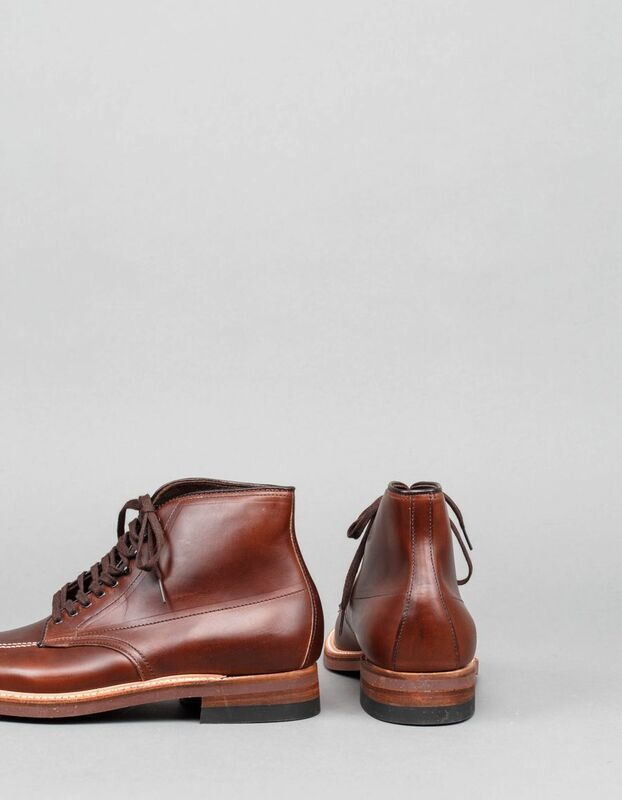 Chromexcel Indy Boot by Alden. High work boot, featuring a heavy brown leather upper with 100% leather lining, leather facings at eyestays, back, and top. 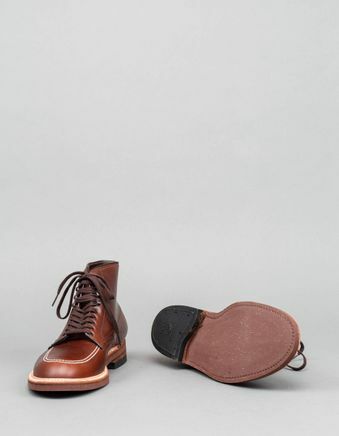 The outsole is oil resistant Neoprene, with interior tempered steel shank from heel to ball for maximum support.